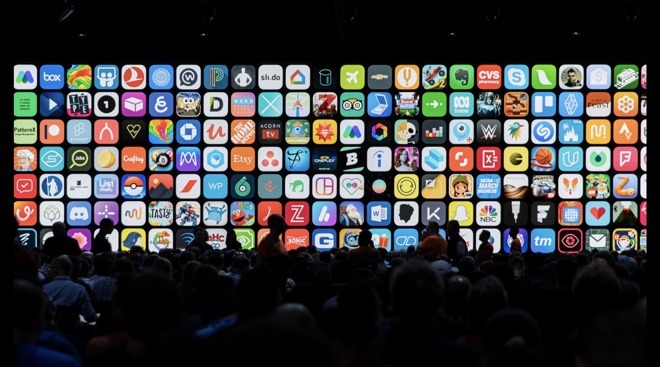 Apple presents the coveted award, now in its 21st year, to apps that best take advantage of the unique features of each platform. For 2018, the ADAs went to a truly eclectic mix of developers, many of whom traveled from far-flung regions to receive the coveted cube. In total, award winners represented nine different countries, with apps spanning the genre spectrum. Agenda is a great note taking app with a date-focused design that syncs across iOS and macOS. The spartan aesthetic lends itself to a clear view of the day ahead, complete with tasks, notes and other niceties not found in competing offerings. BANDIMAL is a fun app designed to help kids discover the world of music through entertaining visuals and easy to understand controls. A series of animals represent different instruments that, when tapped on cue, create layers of sound that build into unique compositions. Calzy is a seriously beautiful and modern calculator app that bakes in lots of unique features including a "Memory Area" that stores multiple values and drag and drop interaction. iTranslate Converse is translation app that aims to create a more natural conversation. It can be used by directly speaking into your device. Triton Sponge is a medical app for surgeons in the operating room to estimate blood loss. A number of Apple technologies are harnessed to realize the app, including Core ML machine learning assets and depth maps from an iPhone's rear-facing camera. Florence is an interactive storybook about the highs and lows of a young woman's first love. Playdead's INSIDE is a unique game that features increasingly bizarre encounters that mix action with clever puzzle design. The breakout hit, created by the same studio responsible for LIMBO, also tells a deeper story with commentary on current sociopolitical themes. Alto's Odyssey is a follow up to the popular endless runner Alto's Adventure, where players race across sand dunes and beautiful landscapes while racking up points by performing increasingly complex tricks with their snowboard. Frost is a beautiful adventure game where you "draw paths to guide flocking spirits to their home planets." Oddmar is another gorgeous game where the titular character explores a mythical Viking world full of unique creatures and challenges. The winner's of Apple's design award earn the much-sought after aluminum cube trophy, as well as a pile of Apple gear including a 5K iMac Pro, 15-inch MacBook Pro, 256GB iPhone X, 512GB iPad Pro with Apple Pencil, 4K Apple TV, Apple Watch Series 3 and AirPods.